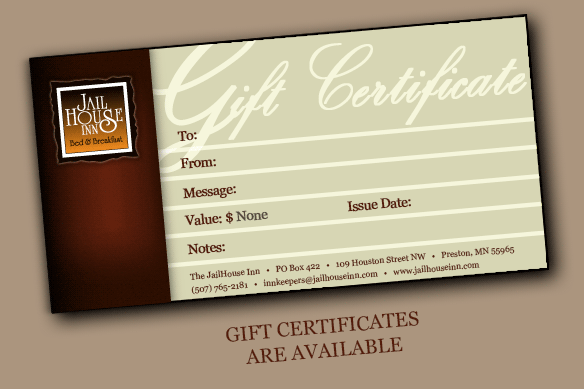 Perfect for any occasion, The JailHouse Inn offers gift certificates redeemable at any time we are open (subject to availability and inn policy). A JailHouse Gift Certificate makes a unique birthday, wedding, anniversary or Christmas present. Treat your family and friends to a historic stay at our treasured bed & breakfast here in southern Minnesota!